Hey everyone, for today’s blog post I wanted to share with you four dresses that you need in 2019. Each dress is perfect for a certain time of the year and they are all under £35! It’s always nice to pick up something new for yourself but these also won’t break the bank either. With Spring just around the corner, this outfit is perfect for days where it’s sunny but crisp at the same time. 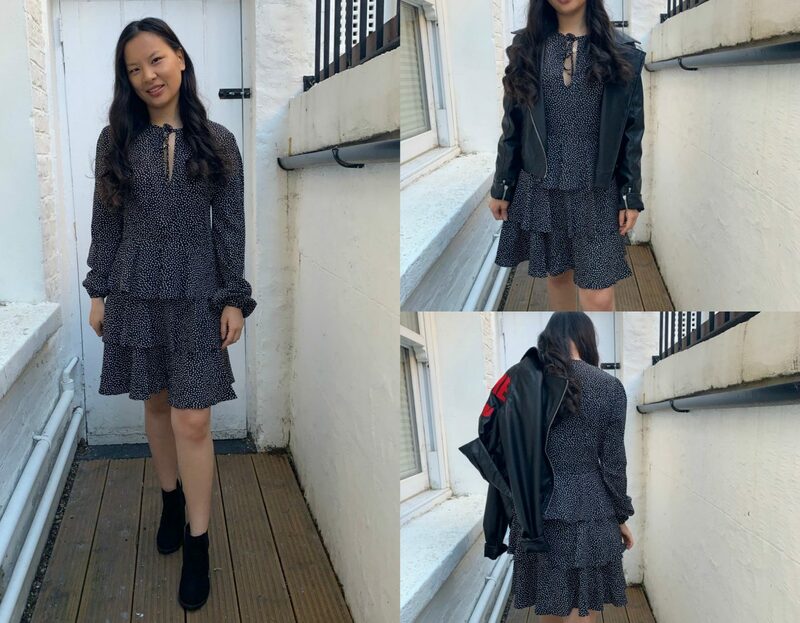 The dress itself is a smock dress but the material is quite thick so it feels warm and can be easily worn with a cosy jacket and tights on a cold day. I absolutely love the pattern as it attracts the eye but it’s also not too out there. The frills on this dress make it quite feminine which is why I decided to create a punk rock look to give a contrast with the dress. The second dress is ideal for the Summer as it’s lightweight, colourful and cute. I decided to pair it with a simple necklace from Accessorize to add a bit more to the outfit. The platform wedge shoes are from H&M and are the perfect height as they aren’t too high and are really comfortable and easy to walk in. This dress is great to wear during the day but can also be paired with heels and a jacket for an evening out. Autumn is one of my favourite times of the year as it means that Christmas is just around the corner. I also love Autumn as it’s still warm at the beginning which makes going for dinner or drinks on a rooftop bar ideal. This outfit isn’t really suitable for dinner or drinks unless you are really cool and edgy then it would be a great outfit to wear. 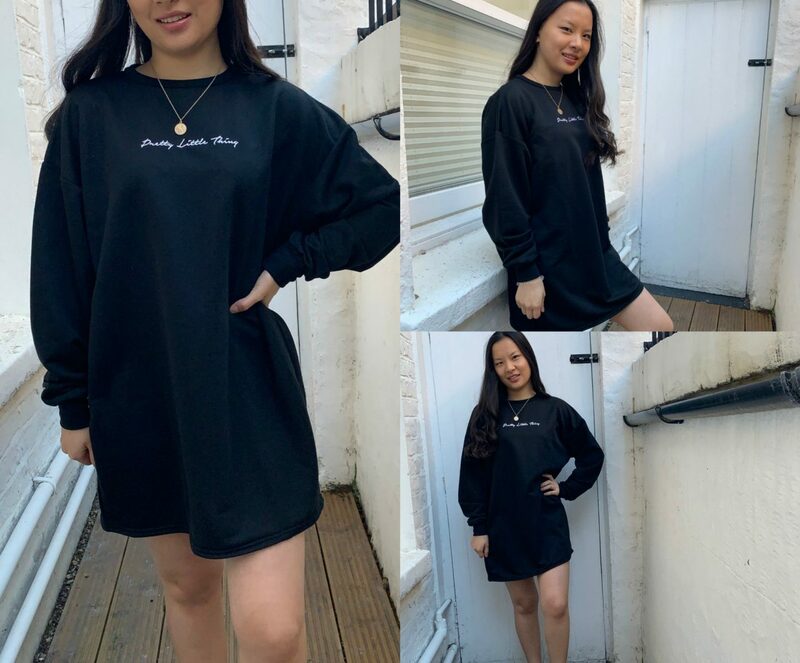 I am, however, not that cool or edgy so I would just wear this jumper dress to run errands or even when I am at home as it’s really comfortable and great for lounge days. When I think of Winter I immediately think of Christmas and parties. December is always a busy month for a lot of people with work parties, family parties and then, of course, Christmas and New Year celebrations. I also think that red, silver, green and gold pieces are much more in fashion around this time of the year. I personally really love bodycon dresses as they are really flattering and comfortable at the same time. This dress caught my eye straight away as it’s the ideal colour for that time of the year. I also really liked the lace detailing as well as the V neck feature at the front. "Breakfast At No.197 Chiswick Fire Station"
"Video | First Impressions: Soap & Glory Bubble Act"